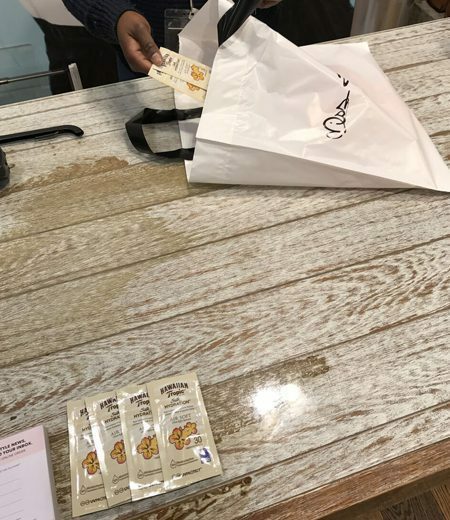 Product samples can be distributed with purchase at till point and displayed in branded counter top units for additional awareness. In-Store sampling can be massively enhanced by supporting A3 posters in the fitting rooms. Samples are distributed directly to customers with their online parcels from their favorite fashion retailers. Everybody like to receive a free sample with their online order! High sample retention and usage when received at home. Fitting Room Poster and Product Sampling campaigns can be fully integrated with the inclusion of digital and social media platforms through retailer owned Facebook, Twitter, Instagram, and Blog Posts. Fantastic earned media, and great for consumer/brand engagement with competition element, data capture and response mechanism.